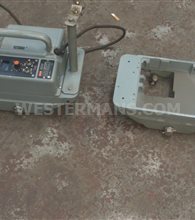 Gullco International Welding Equipment offers you the finest welding carriages for cutting and welding automation, featuring the popular KAT systems. 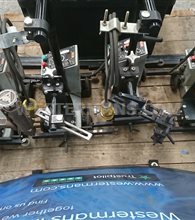 With Travel carriages, gouging machines, welding and cutting operations you are guaranteed to find what you need from the trusted leader in welding automation. Read our Blog here on Gullco. 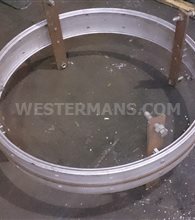 Gullco International, a Canadian company who specialise in the finest welding carriages for cutting and welding automation. Gullco products provide automated, high speed, quality production processes to improve welding accuracy, uniformity and reliability for multitude of applications. 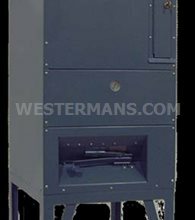 Westermans International can offer you new, used or refurbished Gullco Automated Welding Systems depending on your budget or time frame. Gullco International offers you the finest welding carriages for cutting and welding automation, featuring the popular KAT systems. 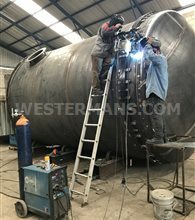 Travel carriages, gouging machines, welding and cutting operations you are guaranteed to find what you need from the trusted leader in welding automation. 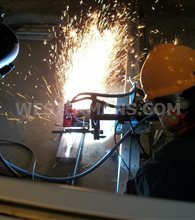 For quality you can rely on, select Gullco products and systems for your automated welding and cutting operations. 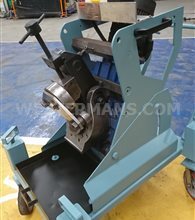 Need advice and help to find a suitable machine? 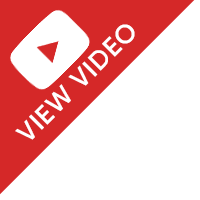 Ask the Team or use our search facility on the right to browse all Gullco systems in stock today. 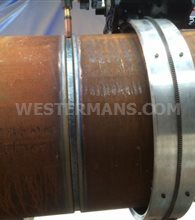 This advanced oscillation “package” is designed to increase production and improve the quality of the weld produced in automatic mechanized welding operations by minimizing weld defects such as poor penetration, incomplete fusion, overlap and undercut. 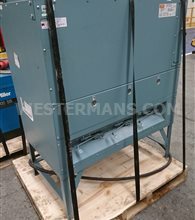 The GK-200 Series compact oscillator carriage combination comes with the option for linear or radial oscillation head and can be equipped for use on either rigid or flexible track. 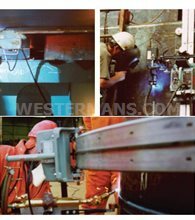 ...high precision tracking system that maintain the torch in optimum operating position regardless of variations in the weld seam...providing improved quality and efficiency in a wide variety of welding operations. 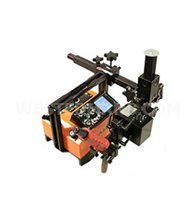 Gullco Mechanical Seam Trackers and Height Sensors are designed for use with the Gullco Kat Travel Carriage to accurately maintain the required, pre-set distance between the gun or torch and the workpiece in automated welding and cutting operations. 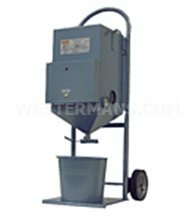 Three models are available to effectively meet various application needs. All are constant velocity, spring-type sensors utilizing hardened and ground slide bars with recirculator ball bushings to provide 1-3/4” (44mm) of torch float. Other float distances available on request. 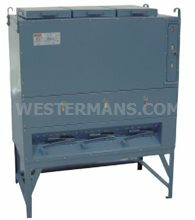 The KBM range of bevelling machines are self propelled, heavy duty portable plate bevellers, producing clean machined bevels with no thermal distortion on mild steel, stainless steel and aluminum plate. 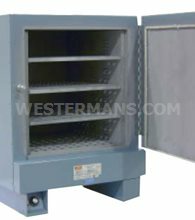 Topside and underside bevellers available where both sides of the material need bevelling, ensuring a super efficient process. Packages come complete with accessories such as tooth cutters and undergear. 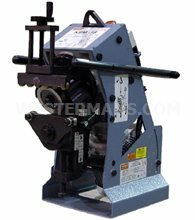 Performs smooth consistent gouging operation in the flat, horizontal and vertical down position using the SYMEX STAR TRAC II Automatic Gouging System. 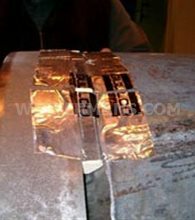 use for continuous gouging of long seams in the manufacturing of ships, pressure vessels, tanks, bridges etc. 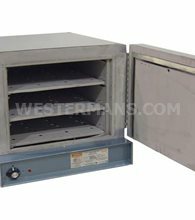 high resolution voltage control capability regulates accurate gouging depth to a machine-like tolerance of ± .015” (0.4mm) even over a warped plate. total weight approximately 49 lbs less track. 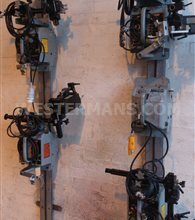 This system* incorporates everything required to automate your cutting/ welding operations...quickly, easily, economically. It is comprised of the KAT® II travel carriage and rigid 8 ft. (2438mm) straight track and torch or gun holder assembly. 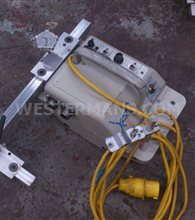 The carriage travels in a forward or reverse direction (vertical or horizontal) on its track, moving the torch or welding gun along the pre-set path at precisely controlled speeds. 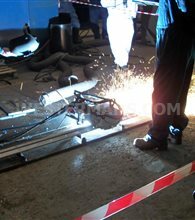 The accuracy, uniformity and quality of the cut or weld is improved. Productivity is increased. Costs reduced. 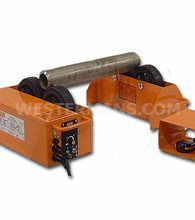 The versatility and reliability of the world famous Gullco MOGGY® trackless travel carriage system and a variety of quality engineered components combine to provide a highly flexible self-contained welding unit. 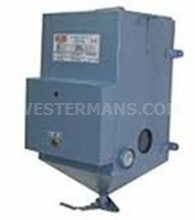 This Gullco unit is designed to produce precision, quality Submerged Arc or MIG welds. Gullco Variable Speed Side Beam Carriages have a load capacity up to 1000 lbs. This unit is controlled by a Gullco closed loop tack feedback low voltage GSP microprocessor pulse width modulation motor control interfaced with the forward/stop/reverse switch, infinitely variable 4-turn speed potentiometer with LED display and limit switches for arc start time delay and end of travel. Gullco Side Beam Carriages are very versatile and can be equipped with a variety of different accessories suitable for a broad range of applications. 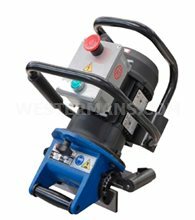 This 3 jaw self-centering gripper is designed for use with all welding positioners including Gullco’s GP/GPP-200 Series of positioners. 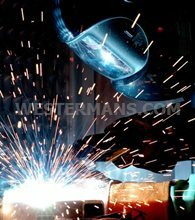 It provides high levels of efficiency and versatility in operations involving welding of fittings, flanges, etc. Specifications are provided on the reverse of this sheet. Contact Gullco or your Gullco distributor for more detailed information. 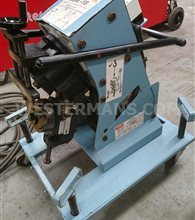 Quickly and Easily Mounted on any make of positioner, turntable or tailstock using three bolts provided with the gripper. 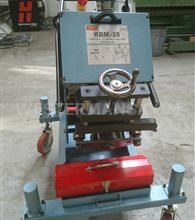 Self-Centering ...fast, smooth close/open action using lever to firmly lock or release workpiece. 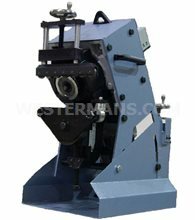 An Accurate and Reliable Automatic Rotary Weld Production System for a Fraction of the Price of a P.L.C./Servo System. Gullco Gantry Units are custom designed assemblies that are used in a variety of applications such as automated seam welding, fabricated assemblies, stiffener seams and automated cutting operations such as stripping and edge preparation. 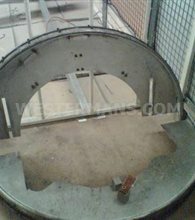 Gullco will custom design a gantry/bridge unit to meet your specific requirements. A wide variety of custom design features and efficient, high quality Gullco systems and components provide cost effective, reliable solutions for your welding/cutting needs. The Gullco vacuum mounting systems are designed to firmly hold the KAT® Rigid and Flex Tracks in position on magnetic and non-magnetic materials. 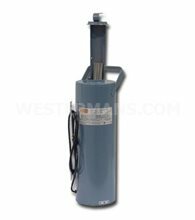 The systems are rugged and dependable while incorporating a light weight design for portability. 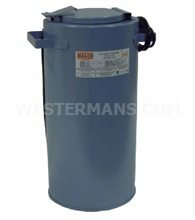 There are Vacuum/ KAT® carriage packages specifically designed for automatic welding and cutting applications. 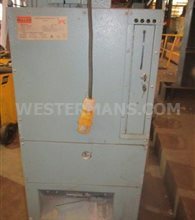 Sell your Gullco Welding Plant. 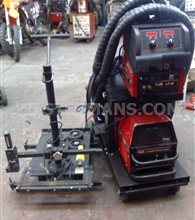 We want to buy more Gullco International Welding Equipment. 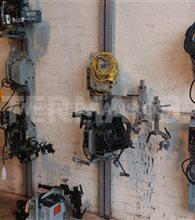 Complete our Wanted Form with details of any used Gullco Welding machines you have surplus and for sale.